T-L Photo/LENNY WITTENBROOK Pictured from left are Barnesville Middle School Principal Casey Mayo, high school Principal Ron Clark and elementary school Principal Clinton Abbott with the Purple Star Awards they recently received at the Ohio School Board’s Southeastern Conference in March. The Purple Star Award is awarded to military-friendly public schools and recognizes only those schools that show a major commitment to students and families connected to the U.S. military. BARNESVILLE — All three principals in the Barnesville Exempted Village School District are being honored for their commitment to making their schools bastions of support and honor for those who serve in the United States military. 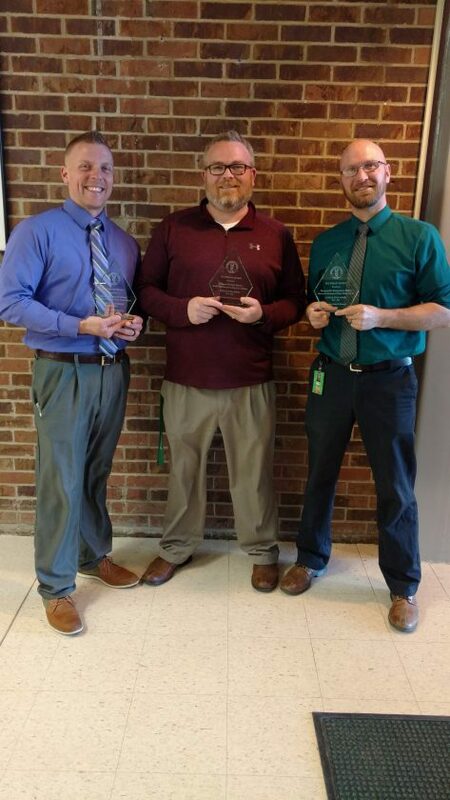 High school Principal Ron Clark, middle school Principal Casey Mayo and elementary Principal Clinton Abbott each were awarded the Purple Star Award by the Ohio Department of Education at the Ohio School Board’s Southeastern Conference on March 26. 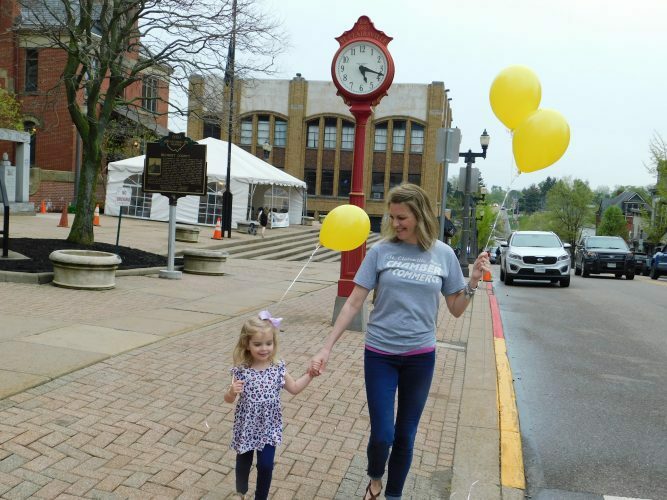 The Department of Education established the Purple Star Award for military-friendly public schools and recognizes those schools that show a major commitment to students and families connected to the nation’s military, according to a press release from the Ohio School Boards Association. The release also notes that across the state, only 57 schools received the award during the fourth round of the 2018-2020 period and, of the five of those awarded in the Southeastern Conference, three went to the Barnesville schools. According to Clark, the three schools took specific steps to be considered for the award. Barnesville schools serve roughly 1,400 students across the three schools. The district completed a revitalization project in 2002 that added the new middle school building and included renovations to the high school and elementary building.